We wish you all the best in 2014! May all your archives wishes come true in the New Year! The activity leading up to International Archives Day 2013 showed fun – and very archival – doodles. Take a look at them – according to tweetreach, the tag had 45.280 impressions. Imagine how much attention the possibilities in archives of the world could get, if a doodle came to Google. Maybe next year? On of the first pictures of the destroyed city archives of Cologne. Author: F. Domahs, 2009. Archives are a fantastic resource for us all. They help us grow in knowledge and understanding of past and present. They empower us to investigate the history we need and the stories we care about. Archives are necessary. On March 3 2009, the city archives of Cologne, Germany collapsed, and with it thousands of documents belonging to one of the oldest city archives in Europe. Holdings reached back to 1408/09 and the oldest document stored was from 922. A huge part of the archives was buried by the collaps. Aabout 40.000 charters, collection of photo and film as well as some of the iconic medieval documents and a collection of seals were saved. To rebuild or not to be rebuild? But although part of the collections have been saved, the municipality has recently decided to freeze the build of a new city archives. A decision, which has been critized by both the German Association of Archivists (VdA) as well as ICA, the International Council on Archives. 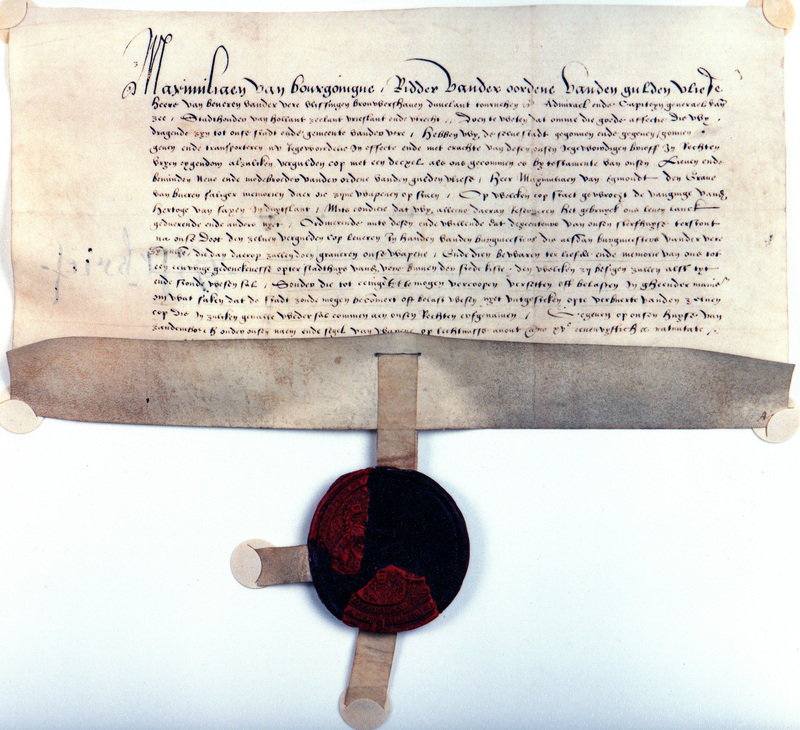 The archives in Cologne can be supported in different ways, among others this petition. But we are almost certain, that there are a lot of archives in the world, which also need attention. Archives threatened by for instance consequences of climate change, lack of appropriate facilities or other negative influences. So, on June 9th support the archives in Cologne – and all other archives in need. Tweet about them using the hashtag #savearchives, include blogposts, articles and petitions. We will gather links on this blog and summarize. Googledoodle for International Archives Day 2013? WE REALLY WANT GOOGLE TO PICK UP ON THIS – SO PLEASE HELP US PROMOTE THE IDEA! In 2011 and 2012 we celebrated International Archives Day on June 9th. 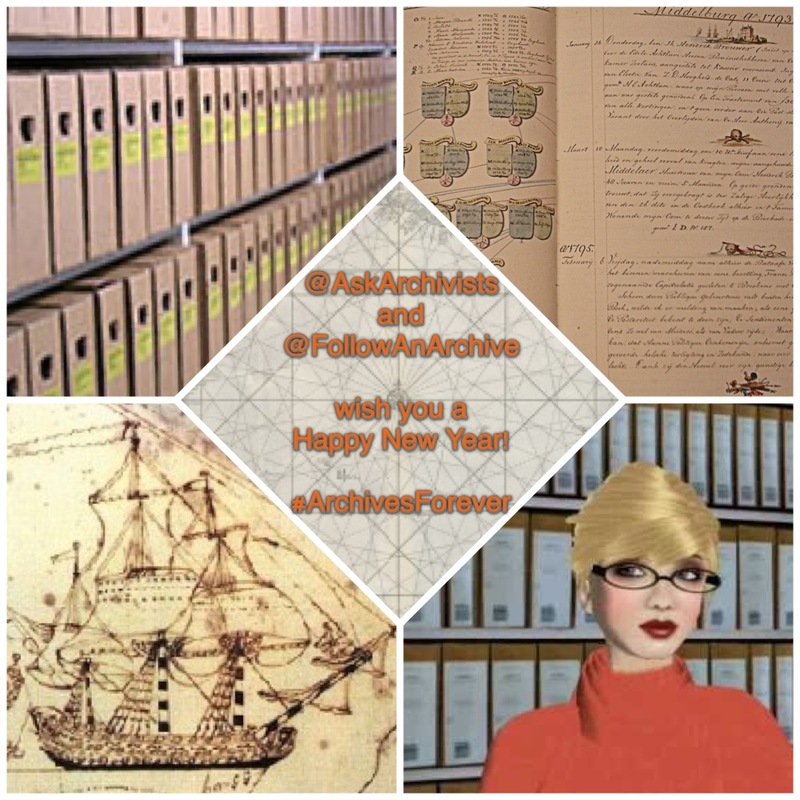 by doing an #AskArchivists / #FollowAnArchive event on Twitter. We would like to do it again – if archives and archivists support the idea. But this year we would like the day to be extra special. 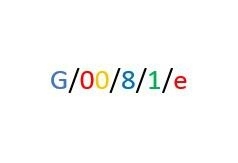 During the past years, Google has used variations on their logo to draw attention to people and causes worth noticing. Among the doodles are little works of art highlighting things as different as New Year, Chaplins Birthday, Opening of the Arcropolis Museum, Singapore Art Festival and National Library Week. But it seems, that there has never been an doodle on archives. So why should archives deserve a place on the worlds largest search engine? 1) Archives contain the unique written memories of the world. Our collections are diverse, and contain records on paper, electronic records, sound, pictures and much more. But regardless of form, they are a vital part of our heritage. 2) Archives play a vital part in democracy. Without archives, the world would face immense difficulties in reconstructing our political, economic, social, national, local – or personal – history with a sufficient credibility. 4) Archives provide resource for academic researchers and students, but they are also a fountain knowledge for all, and support livelong, self-directed learning. Whether driven by interest in local history, genealogy or other topics, archives are a place, where thousands of non-scholars gain new knowledge, skills and competences. 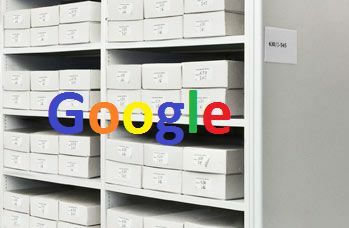 5) Google itself is in many ways related to archives, providing access to informations and helping people search and find what they need to grow in knowledge. 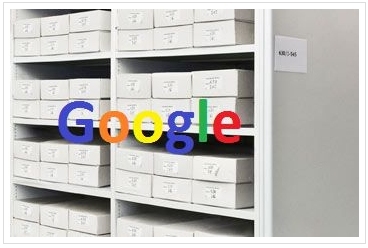 So please Google, help us celebrate the content and mission of archives all over the world on June 9th which is the International Archives Day. We all can help Google with ideas for an archives doodle! What do you think are specific ingredients for an archives doodle? Draw them, make a picture of them or write it down. Tweet your ideas from June 1 untill June 8 with the hashtag #archivesdoodle. WILL INTERNATIONAL ARCHIVES DAY ON JUNE 9 BE CELEBRATED WITH A GOOGLEDOODLE? Yes! 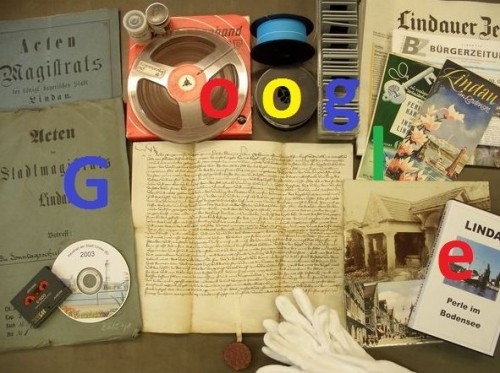 We think archives earn a googledoodle on International Archives Day, June 9! 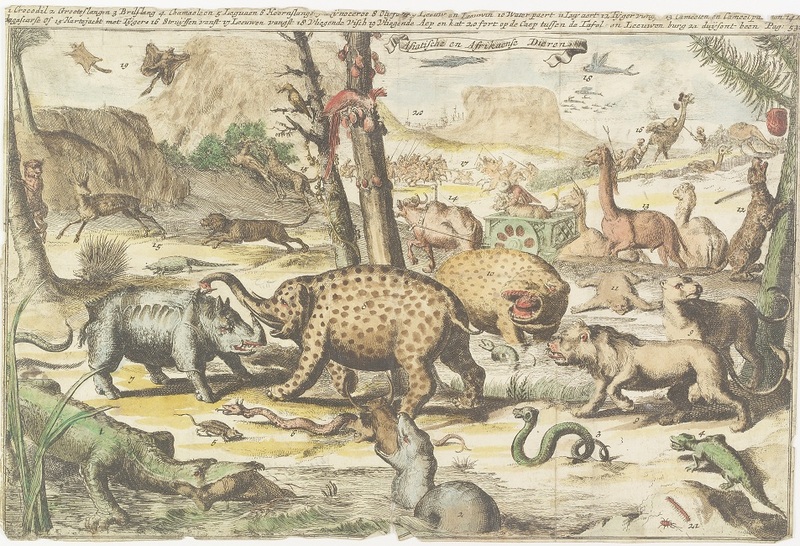 Zeeuws Archief : Asian and African animals, 1770-1780. Cat.nr. HTAM-H-104. “NO!”, is our first response when people ask: Do you have beasts in your collections or your depots? Of course not! We keep our depots very clean and take very good care of our heritage collections! No mice, no spiders, no flies, no rats, no silverfishes, no fleas, no bookworms, we don’t give them any chance to creep in our collections and depots. That’s what we think. But… we DO have lots of beasts in our collections and depots! Think of the huge seamonsters on oceanmaps, the very precise drawings of insects in fauna books, the sweet pictures of cats in albums amicorum, the loyal dogs at the feet of our rulers on paintings and sculptures. We have the entire fauna of the world in our collections! On October 4th each year, we celebrate World Animal Day. Let’s dive into our collections to search for colourful fishes. Let’s make a safari tour through our depots to catch wild animals. Let’s have a stroll through all the bookshelves to discover beautiful insects that hide there. Let’s have a great flight through our storagerooms and catch up with some amazing birds. Make a silent tour at night to spot the very rare unicorn. And let’s show all the animals we found in our depots and collections to the world on World Animal Day! On October 4th, World Animal Day, Follow An Archive and Ask Archivists will organize a Twitter event: #heritagebeasts. We invite all heritage institutions to join us! So we ask the organizers of Follow A Museum, Follow A Library, Ask A Curator and Follow Heritage, to join in and spread the word about #heritagebeasts to your followers! Join #heritagebeasts at October 4th! Of course all people are welcome to join the Twitter event #heritagebeasts on October 4th! Create a Twitter account and tweet the beasts in your favourite collection! Let’s have a beastly good World Animal Day on October 4th with the Twitter event #heritagebeasts! Let´s celebrate International Archives Day on June 9th! It´s allmost there again! The greatest day of the year – International Archives Day! We know it´s on a saturday – but let´s celebrate anyway! Let´s show off our archival holdings, knowledge and services this year. We invite you to tweet your most precious document, your best online services and finest webcontent, the coolest pics of users socializing and using the collections. Show us – and the whole twittersphere – what you´re proud of in your archives! Let us know if you´re in – and if you will answer questions from users again. Love is all around us, and on Valentines Day 2012 we spread documents, pics, recordings… Everything from our collections, which documents the sweetest emotion of them all. Not just the love for ones beloved – but love for friends, parents, children, pets … everything we hold dear.